Topas Ecolodge is a fancypants accommodation option outside Vietnam’s Sapa town, overlooking the valley, and is a perfect choice if you want to savour the scenery from the comfort of a balcony chair. 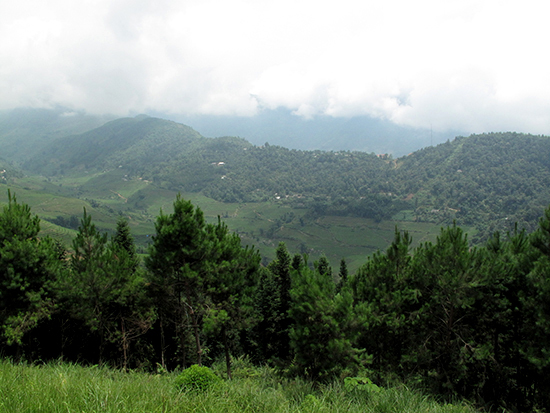 The lodge is located 18 kilometres from Sapa town in the Hoang Lien mountains. Its 25 bungalows sit atop two hills, which jut out into the valley, affording them magnificent views on a clear day. The location is, of course, the main reason for staying here — it’s a getaway, and a chance to enjoy the stunning scenery of the region in luxury, so if you like action and dining choices on your doorstep, this is not the place for you. Although the lodge runs a free shuttle bus to and from Sapa town a few times a day, it’s an hour each way on a rough road, so in reality you’re not going to be nipping out for a coffee. Rooms come in deluxe or the pricier executive flavours. All are the same size and built of stone and simply but comfortably decorated, with spacious balconies overlooking the valley. They all come with dehumidifiers and heaters, and fans are available on request. The executives have more luxurious fixtures and fittings, with two-way air-con, a minibar and rain shower, and are worth the upgrade if you can afford it. Deluxe singles/doubles are $110/115, while executives jump up to $135/140. The main reception area is next to the main road — and surrounded by Red Dao hawker women, so put on your stern ‘I’m not buying’ face (unless you are) — and it’s then a short walk out to the restaurant and bar and onto the bungalows. Breakfast is included and the restaurant is open all day for snacks, drinks, lunch and dinner. Located in two connected wooden traditional-style houses, the restaurant also has views across the valley. 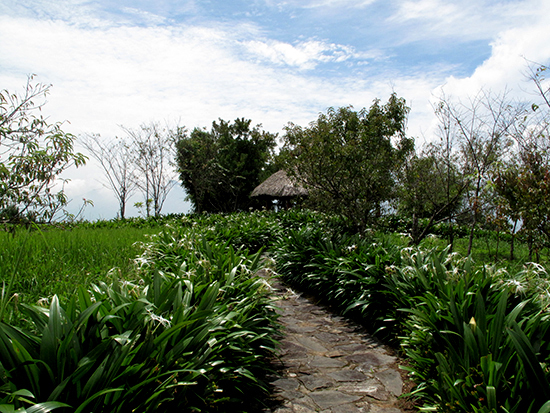 For a special experience, opt for a private dinner served in one of two huts located on a mound between the bungalows. For a bit of privacy, follow the path. It’s a long way from being a homestay, but is well located for visiting the villages of Ban Ho and Thanh Phu, which it overlooks. Excursions to the local villages, more extensive treks and mountain biking tours can be arranged with the lodge, including market visits and treks to the less visited villages of Y Linh Ho, Ban Moi and Ban Lach. 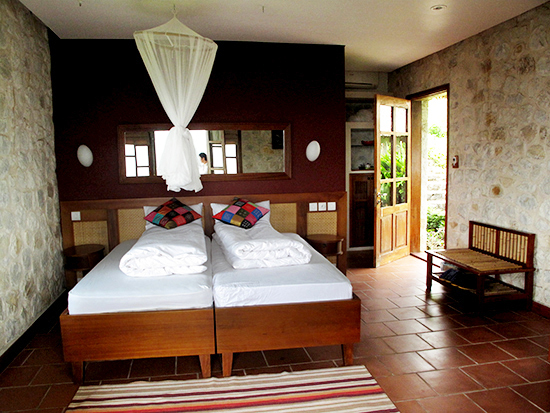 You can also combine your stay with a night at a homestay in the Red Dao village of Ta Phin. Packages from Hanoi are available. Topas Ecolodge is not a cheap option, but it is unique and ideal for couples who want a relaxing stay in a comfortable environment. If you want luxury in town, try the Victoria Sapa — which is more expensive but has more on site facilities — or a boutique hotel like Cha Pa Garden or Sapa Rooms. >H’mong Mountain Retreat is another out of town options, also with fantastic valley views, but is more basic.